Harry Potter projection screens should be clearer than ever. 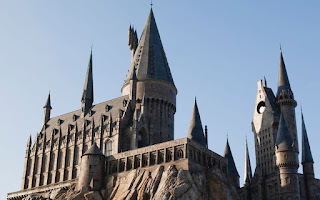 Experience darker-darks and clearer scenes with the new projectors that have been put on the Harry Potter and the Forbidden Journey ride at Islands of Adventure. "The award-winning attraction has been enhanced to feature 4K-HD and state-of-the-art imagery projection. This means the attraction projects higher-quality imagery that is even more realistic and offers superior clarity, and the sharper images will further submerge you into the storyline.